We all know that honey is good for your health, we also know about “royal jelly”, but have you ever had Propolis? If you come to Mexico and are interested in it, it could be good for your health and help you to save a lot! Propolis is a substance that bees collect from tree resin and buds mixed with the saliva of bees and other plant components. It is found at the entrance of the hive as a black resin. It is used to seal the openings of the hives to make the hive more “sterile”. 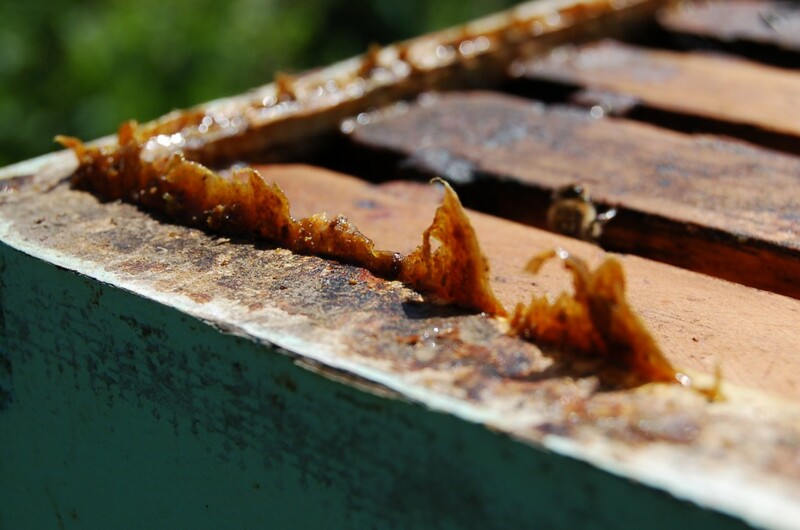 Propolis will block microbial growth within the hive. Ancient civilizations, such as the Egyptians, were familiar with this – they used to coat their pharaohs with it when they died. 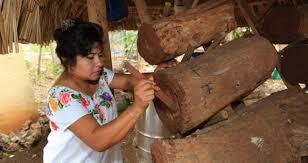 In Mexico, especially in Yucatan, Mayans have used honey and its derivatives for a very long time. Natural medicine of this region is very developed and you will easily find propolis for sale in most villages. By region or depending on where it is found, it will not always be composed of the same elements. Be careful when purchasing, because if we are in an area where there are a lot of pesticides used, the chemical composition of propolis can then be detrimental to our health! In our region-the Yucatan-we have the chance to have an extraordinary quality of honey. Almost all of the local honey is organic and is qualified by many specialists as one of the best in the world. This is because the hives are often in the forest without any other activity around. What are its properties? It’s simple: antiviral, anti-bacterial, antifungal, antioxidant, anesthetic, anti-tumor, and anti-anything else! Most of the production of propolis is sent to Japan where they consume 500 tons per year by cancer institutes, while in France, it is not used at all. Natural products are unfortunately little used in Europe, where many favor chemical molecules of the major pharmaceutical companies; the economic stakes are huge! That is why that propolis is not the famous AMM Authorization (marketing), in fact, propolis is not expensive at all, contrary to most drugs that are “modern”! As one of our guests, you can find it if you go with us during the day trip to Coba and Punta Laguna, oor sometimes we stop in a honey cooperative, or at the Coba Mayan on market day or you can find it in the Valladolid market. In Playa del Carmen it is less common to find propolis, but sometimes Mayans from surrounding villages sell their products at sidewalk cafes.